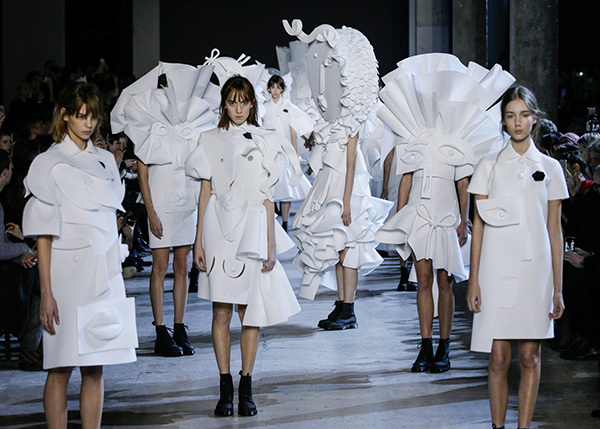 Debuting for the haute couture autumn/winter 2015/2016 couture season, Viktor & Rolf’s sculptural collection showcased detail, form and art. Inspiration for the collection pulled from the simple white polo shirt and artist, Pablo Picasso. Cut into the fabric were miss-matched facial features and body parts, turning the fashion into abstract portraits. 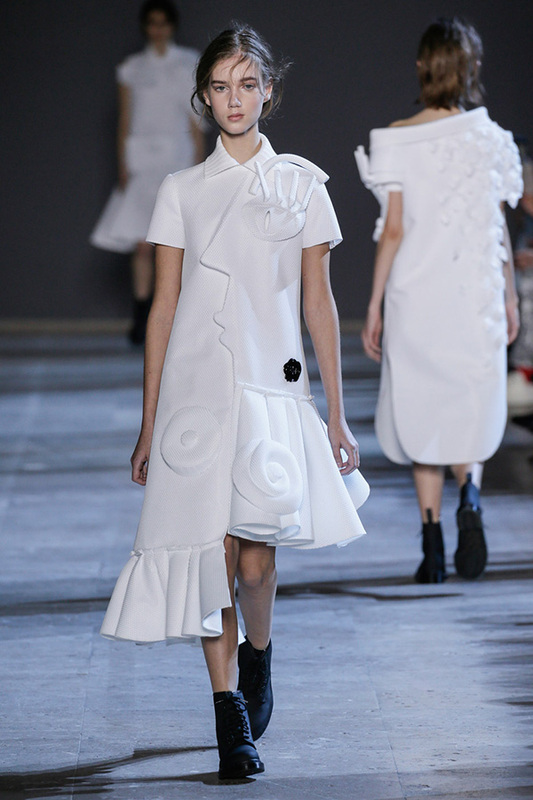 Details included frilled hems, folds, layering, volume and asymmetry. All of the fashions were created entirely from white technical piqué – a cotton material woven with fine ribbing, creating a magnified eyelet structure. 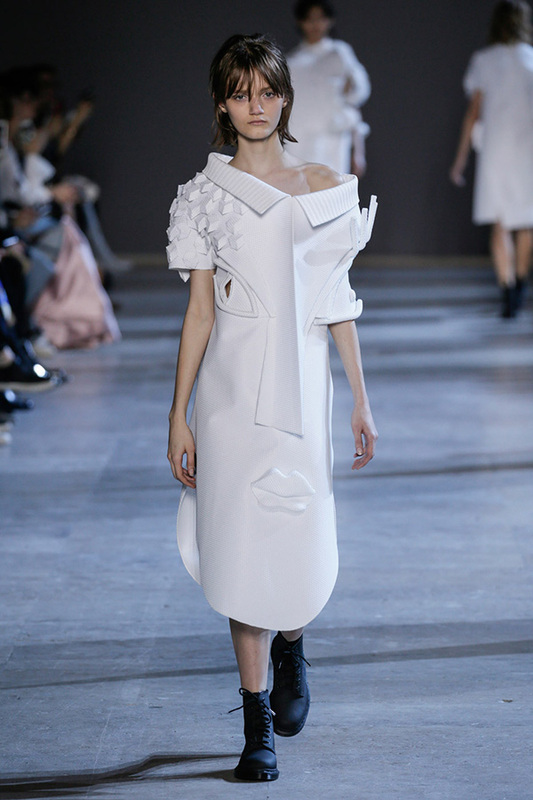 In a statement by Viktor & Rolf, “The designs blur the boundaries between garment and sculpture, and question the relationship between wearer and clothing, sometimes overtaking the body and obscuring the face of the wearer.” This amazing collection showcases how simple white fabric can be transformed into dimensional art pieces; a concept that would translate into spatial design as well.